Producer, filmmaker and award-winning theatre director, Robert Rooney, has been a principal with Rooney Productions since 1995. He is also Artistic Director of the Wakefield International Film Festival, an annual festival of current documentary film, in Wakefield, Quebec. Documentaries include: Constitute! (director/editor); The Great Granny Revolution (writer/director); Condoms, Fish & Circus Tricks (writer/director); and, The Woman Who Lost Her View (writer/editor). Has recently produced Radio NAHO, a community radio series on First Nations health issues; Choosing Our Future, a series of short documentaries on sustainable cities for the City of Ottawa; and Don't Turn Away, a video on elder abuse for the community of New Carlisle in the Gaspé region of Quebec. Robert also has a deep history in professional theatre, having directed in theatres across Canada and the United States, and the staging of major public events – his favourite of these was Nelson Mandela and the Children at Toronto's SkyDome. Before moving to Quebec from Toronto he was a regular contributor to CBC Radio Drama. Producer, project manager, community developer and public speaker Brenda Rooney has also been a principal with Rooney Productions since 1995. 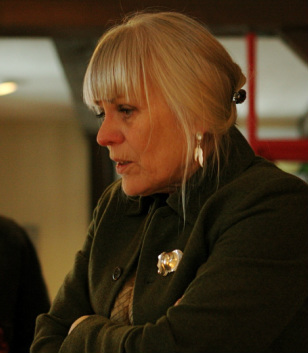 Her self-distribution of her feature documentary, The Great Granny Revolution, established her as a leader in the 'outside the box' indie filmmaking movement in Canada. She toured coast to coast, screening the film in 56 communities, to pay off the production costs. It has since been seen in countries around the world, including South Africa, England, Australia, New Zealand, Portugal and Italy, amongst others. In addition to her role of producer for Rooney Productions, Brenda presently is Managing Director of the Wakefield International Film Festival and a director of Summer Film Camp. She has been a board member of Theatre Wakefield since 2002. 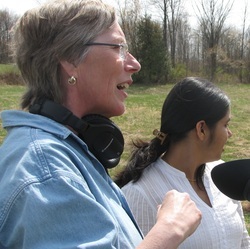 She has recently produced Radio NAHO, a community radio series on First Nations health issues; Choosing Our Future, a series of short documentaries on sustainable cities, for the City of Ottawa; and, Don't Turn Away, a video on elder abuse, for the community of New Carlisle in the Gaspé region of Quebec. Her most recent docs are Voices of Advocacy and Constitute! Filmmaker, photographer and communications/media specialist Melanie Willis also has extensive experience managing non-profit organizations, including film festivals, repertory cinemas and professional theatre companies. Recently, she directed and edited Voices of Advocacy: Older Women Speak Out, a video about the empowerment of older women, to accompany the research of Carold Institute Fellow Peggy Edwards. Voices of Advocacy took top prize at the 11th Global Conference on Ageing in Prague, Czech Republic in May 2012. Another recent project was doing the rough edit of Don't Turn Away, a video on elder abuse, with Rooney Productions. Intervals, which she co-directed with Cathryn Robertson, was shown at numerous festivals and won a Bronze Plaque at the Columbus Film and Video Festival. Melanie is also an award-winning photojournalist.